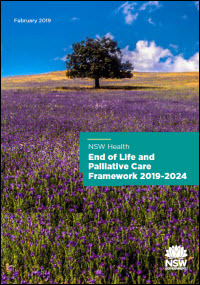 The End of Life and Palliative Care Framework 2019-2024​ sets out the vision and future direction for palliative and end of life care for people across NSW. The Framework describes how people and services can work together to provide accessible, high quality end of life and palliative care. The Framework reflects wide engagement with stakeholders, health professionals and community members.